In terms of storyline, I didn’t have any expectations whatsoever. 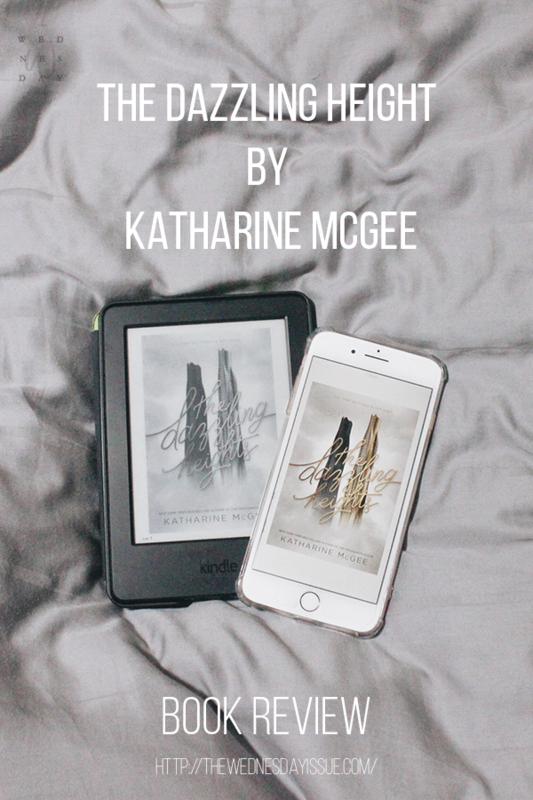 I wasn’t sure Katharine McGee was going to continue the story after that ending. Is Marielle going to play a bigger role? Are Cord and Rylin going to get back together? What about Avery and Atlas? Are the girls enemy now? How are they going to move on? As you can see, SO. MANY. QUESTIONS. 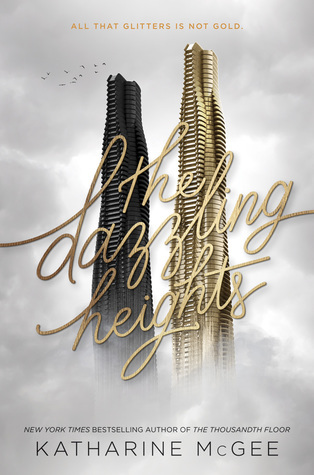 Just like its predecessor, The Dazzling Heights is a character-driven story. The characters developments are definitely something I really look forward to. I want to see how the characters moved on and if they learned anything from the incident. Avery was a character I liked in the first book. However, I’m not sure if I liked Avery in The Dazzling Heights. All her storyline focused on her relationship with Atlas. I was actually expecting more for Avery’s character development. I have to say though that Avery became more exciting toward the end of the book. Finally, some drama from Avery. Despite of the drama, one of my favourite storyline in the book is of Avery and Cord. It was nice to see more of Avery and Cord’s friendship in this book since we didn’t get any in The Thousandth Floor. Seeing how Cord genuinely cares about Avery made me like Cord even more. Leda is the character I strongly disliked (hate is a strong word, guys) the most at the end of the book. At the beginning of this book, my feelings didn’t change. I still hated her. She was truly sly and cunning in order to get what she wanted. Although I have to say that I wasn’t expecting the development with Leda. While she didn’t become a completely different person, there was a lot of changes in her. I think having Watt by her side helped her a lot in realising what she did wrong in the first book. Rylin was my favourite girl in the first book, beside Erin (RIP). The scholarship was something I didn’t expect to happen. To have her in the same school with the others had drama written all over it. One of the biggest question I had for her was how was her relationship Cord going to be? Are they going to be friends again? Did Cord hate her? I’m a huge shipper of Rylin + Cord (someone please inform me if they have an OTP name because I have no idea) and I really want them to be together. Aaaand I wasn’t disappointed! I liked how their relationship was played out in this book. I knew it would be impossible for them to get back together right away given the ending of The Thousandth Floor but THERE WERE SO MANY RYLIN+CORD MOMENT IN THIS BOOK. I really liked Cord as a character I wish we got his POV in the next book. One of the things I wished for this book was more Marielle. I was hoping that Marielle would play a bigger role in this book, but no! We got a new character instead. For me, Calliope was a very welcome addition to the story. She brought new dramas and excitement to the story. Although I have to say that with her being in love with Atlas, there were SO MANY mentions of Atlas which made me wish there was an Atlas POV. Maybe next book? Beyond Atlas, her backstory was very sad and helped you to understand where she was coming from. I wasn’t sure how to feel about her in the middle of the book, but at the end, I liked Calliope. A LOT. Despite her con-artist activities there were many instances in the book where you got to see the real Calliope. I’m really excited on how she’s going to be in the next book. 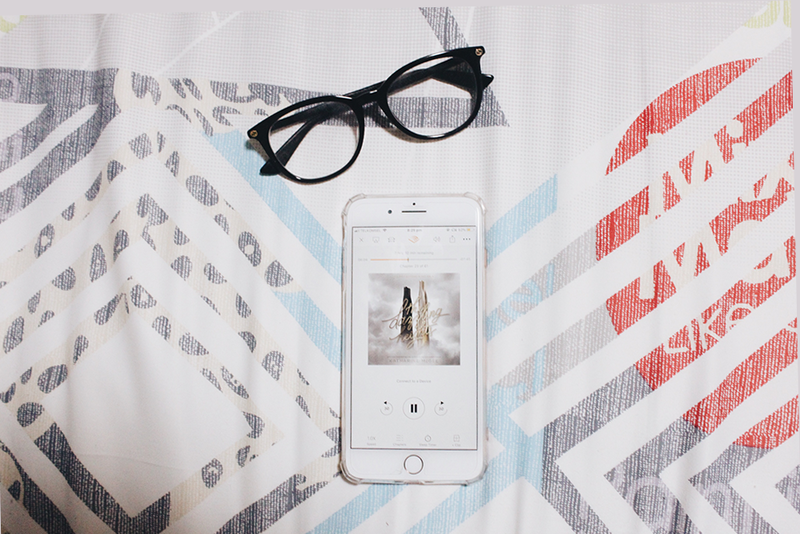 The Dazzling Heights is the first audiobook I completed. The narrator, Phoebe Strole, did an AMAZING job in telling the story. The way she narrated is definitely the biggest reason I managed to finish the book and fell in love with audiobooks. The pacing of the narration was also perfect in keeping the twist and turn unexpected. It was a fun experience listening to this audiobook! If you read The Thousandth Floor, The Dazzling Heights is a must read!